I'm currently in a natural hair African American group on Facebook with other ladies who speaks about hair products they recommend and products to avoid. 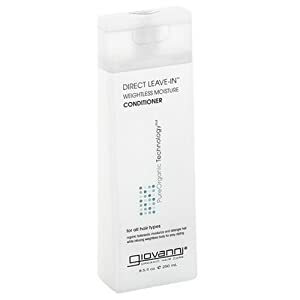 One day while I was in the group, I was looking for a new leave in conditioner that is natural and will give my hair great moisture and shine, so one of the ladies suggested I use Giovanni Direct Leave-In Conditioner. I searched for it online and seen that the leave-in conditioner has organic botanical, gives hair volume, weightless, helps repairs split ends, and never tested on animals. Knowing this, I purchase it on Amazon since I had a $35 Amazon gift card to use. On my wash day, I shampooed, conditioned, and then deep conditioned my hair. Once all products were washed out, I put a quarter size of Giovanni Direct Leave-In Conditioner in my hair and then comb the product through my hair. It gave my hair great slippage and untangled my curly hair. I put my hair in 4 braided sections and then wrapped up my hair and went to bed. In the morning, I took my hair down and my hair was so soft and easily manageable and had a fresh light smell to it. My hair didn't feel weighed down or dirty like some leave-in conditioners and also it didn't leave any type of residue. 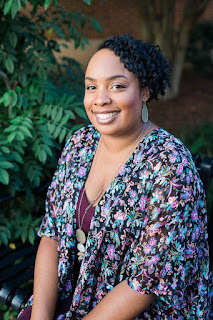 Throughout the week, my hair felt very soft, shiny, fuller, and easy to manage. To give Giovanni Direct Leave-In Conditioner that extra power, I like to add Jane Carter Solution Nourish and Shine after I use the leave-in to seal in the moisture to get more added shine and bounce. I also like to use the leave-in conditioner on my two young daughters after they've had their hair wash and conditioned. Is Giovanni Direct Leave-In Conditioner Worth a Try? I love this leave-in conditioner! I can't feel that I even have leave-in conditioner in my hair! My hair looks and feels so much fuller! I can't ask for a better leave-in conditioner! I'm glad that someone recommend me this product because I probably would've never knew about it. This is now my staple and will always be in my hair products collection!